Absolutely LOVE anything woodgrain. This paper pack has 2 woodgrain designs!! The flowers are a wonderful little accessories called Sweet Blooms and the leaves are from the Spring Kisses. add these to your collection today- they are both a MUST have! 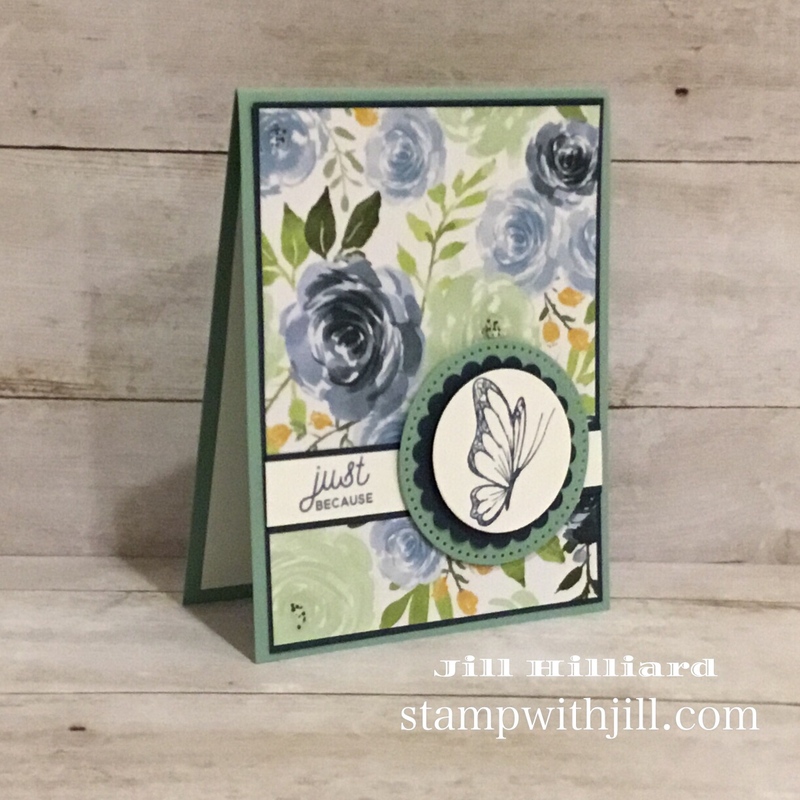 This card features the new FSJ color Fresh Sage! oh so pretty! 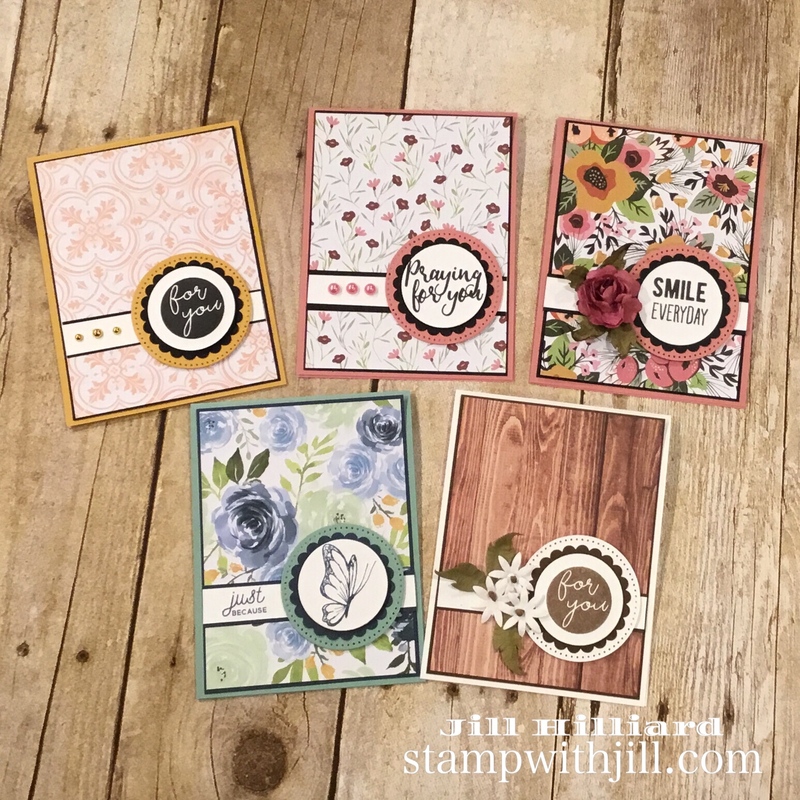 I paired with with Denim Days card stock and ink. This card also brings in a great new color called Haystack. and of course my favorite accessory Fashion Gold! The group shot: They make a great collections of cards! Now is time to go shopping!